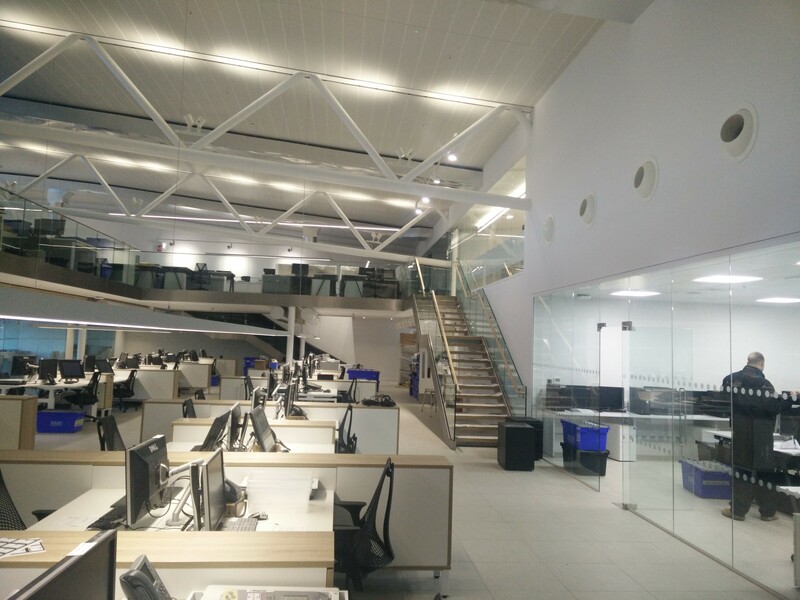 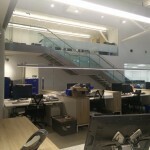 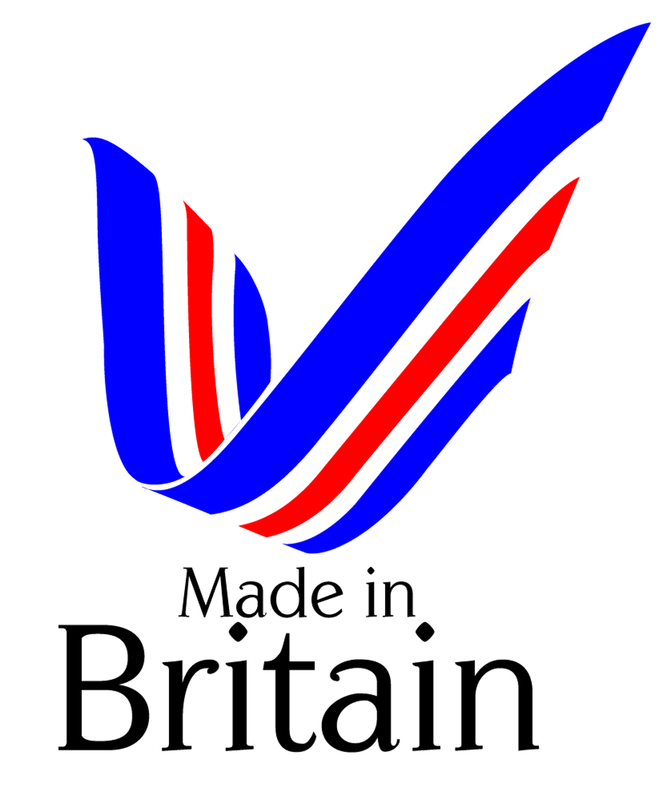 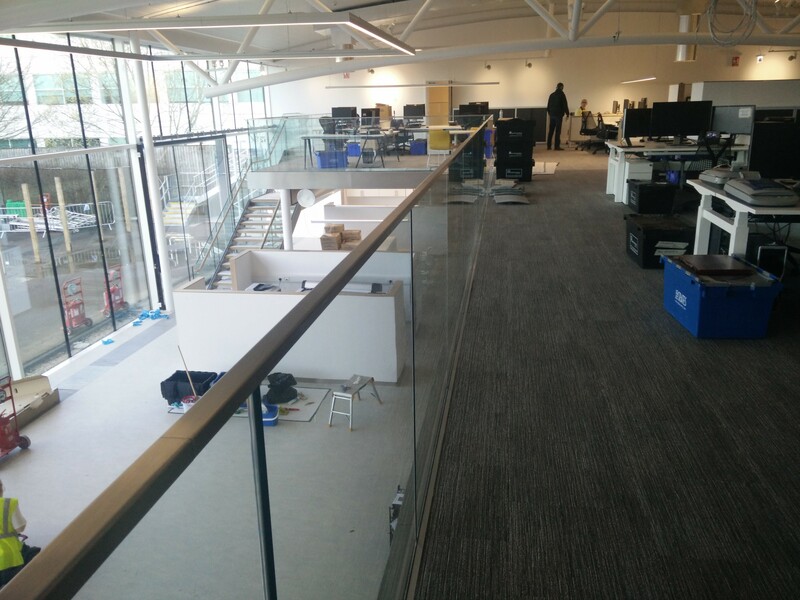 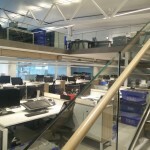 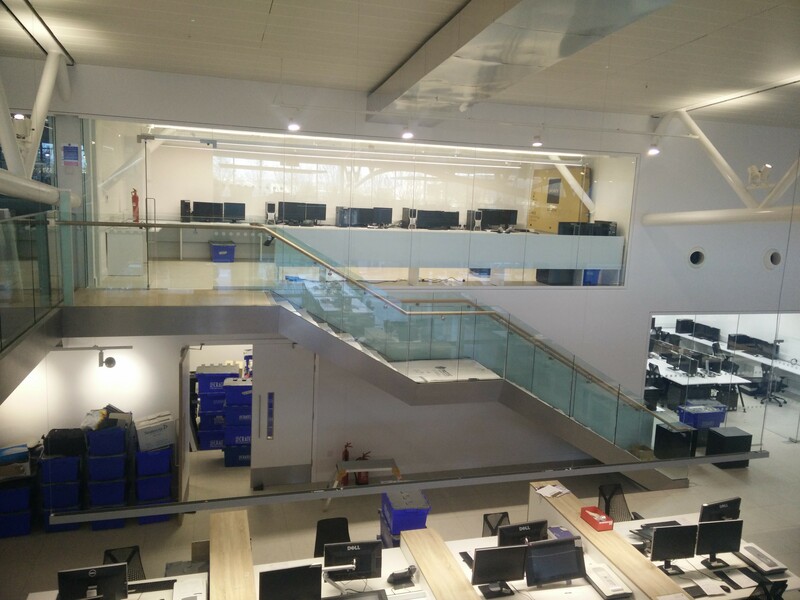 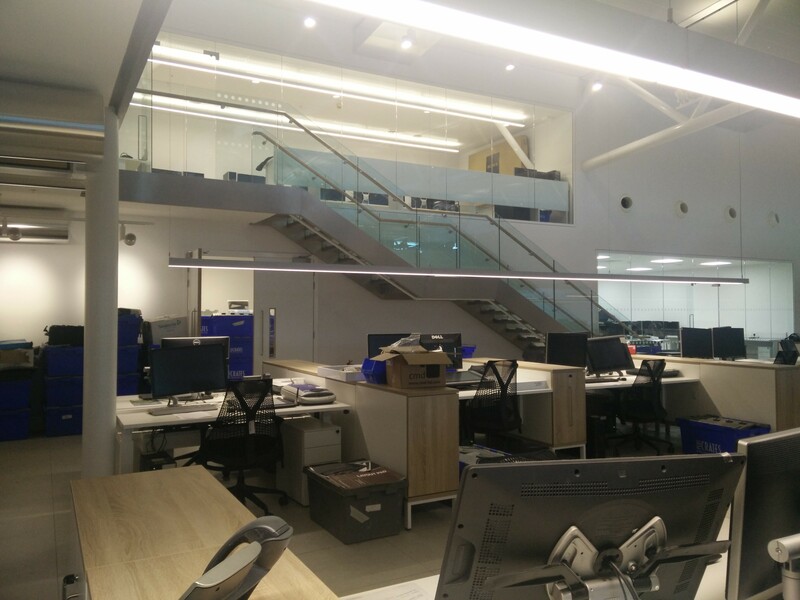 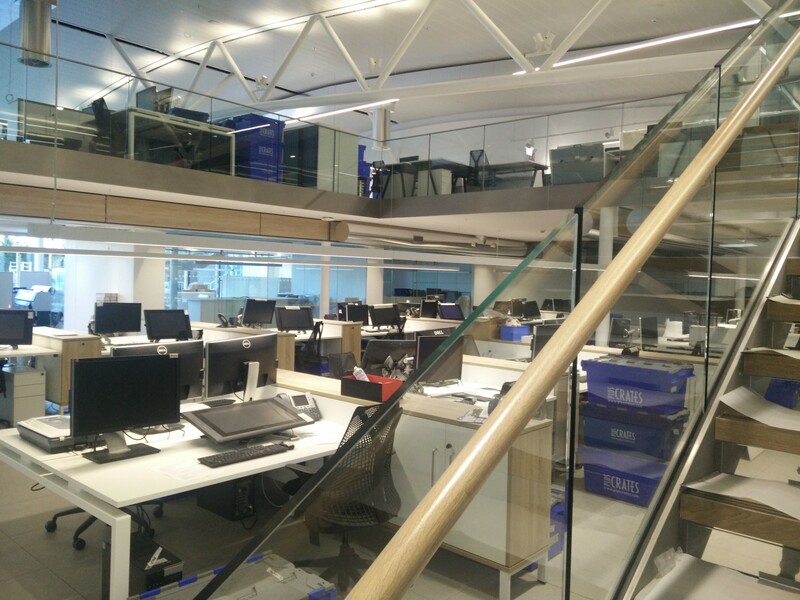 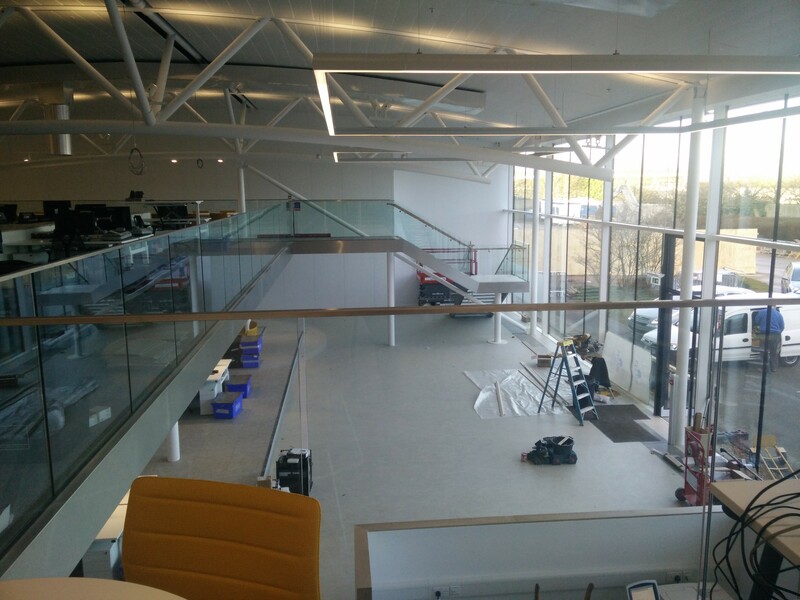 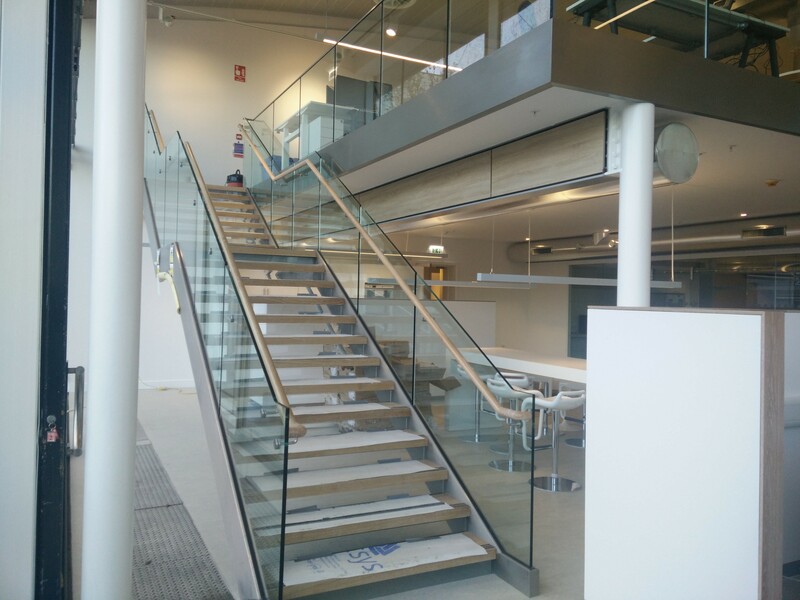 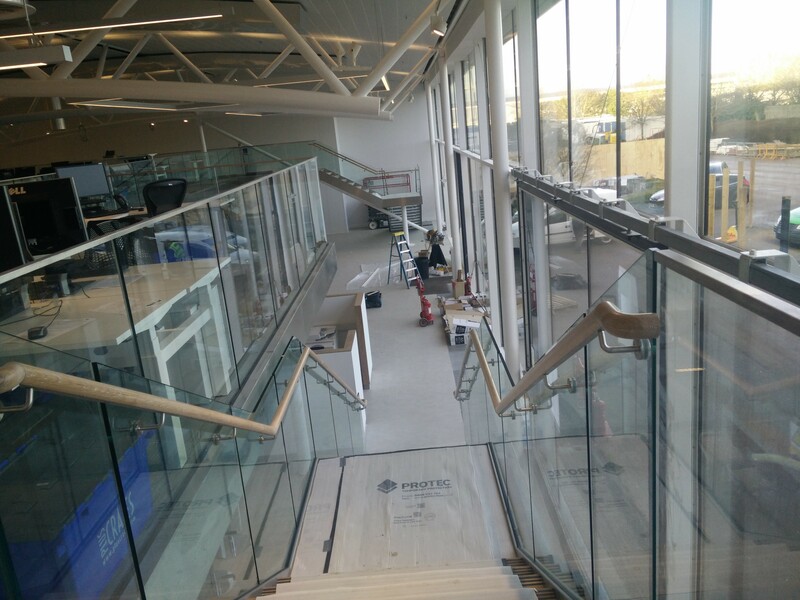 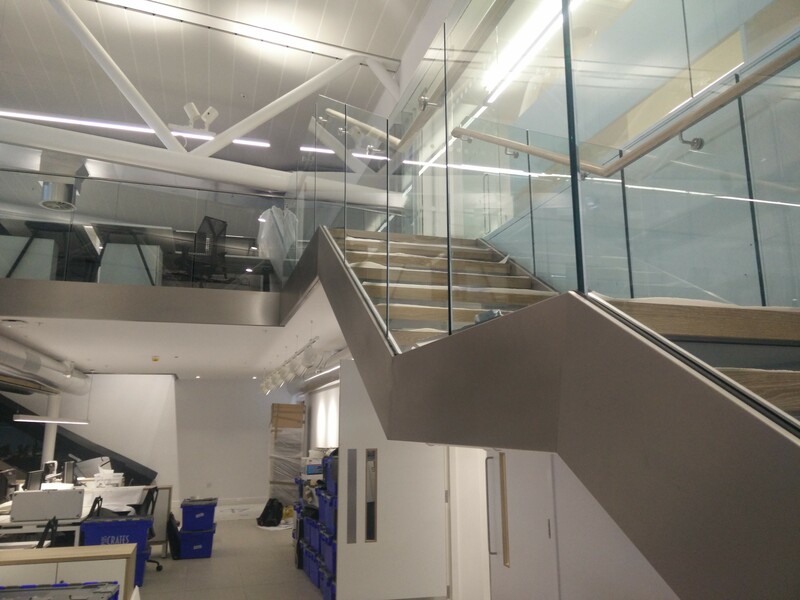 Details: Working in the new design studios at the Global Headquarters of a multi-national company, Morris Fabrications Ltd were extremely privileged to take on the task of supplying and fitting four new internal steel staircases. 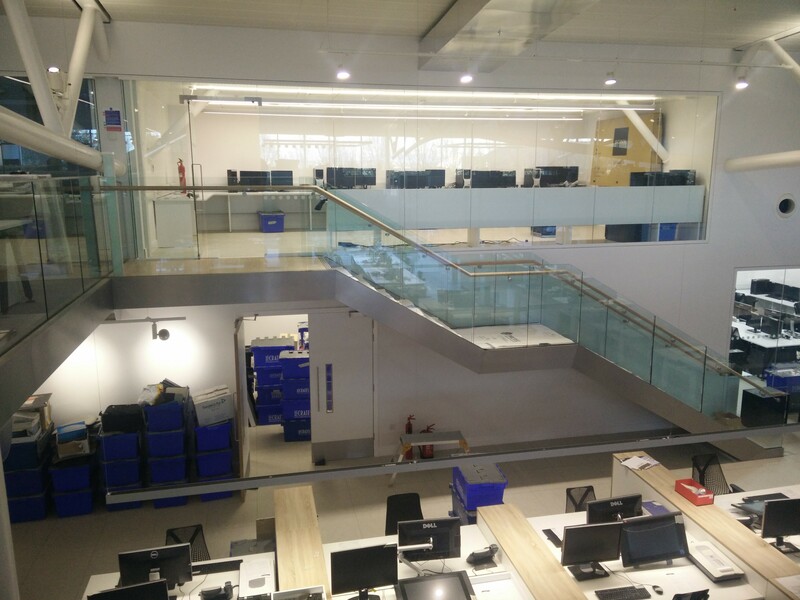 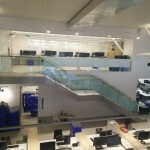 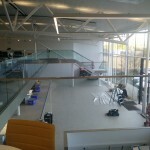 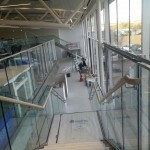 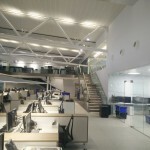 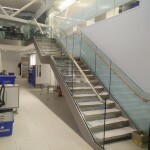 All of the stairs were manufactured from 350x10mm flat stringers, with folded plain plate treads (powder coated finish to underside plus glass risers) and 150×75 PFC landing frames. 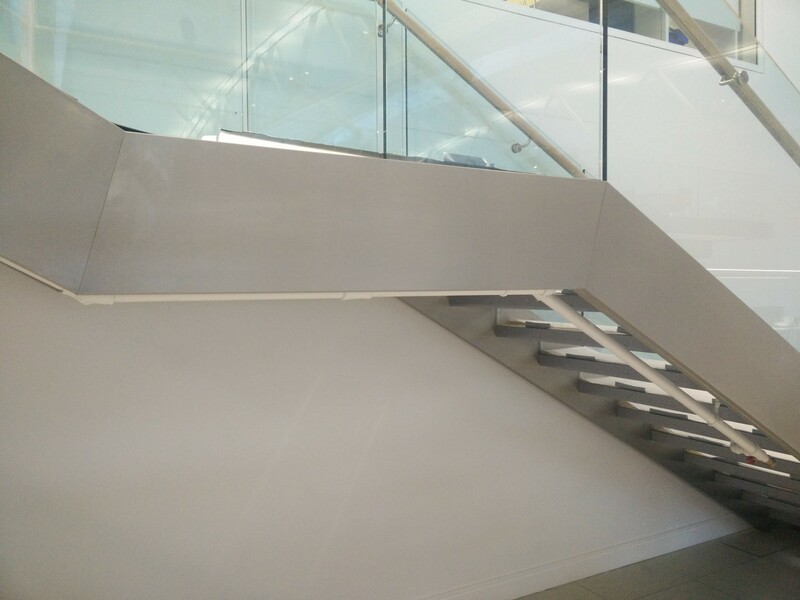 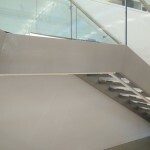 The side of the stair stringers were clad in a folded stainless steel with brushed finish. 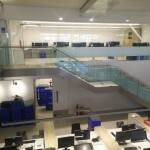 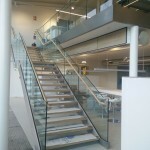 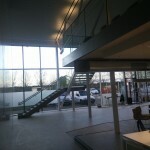 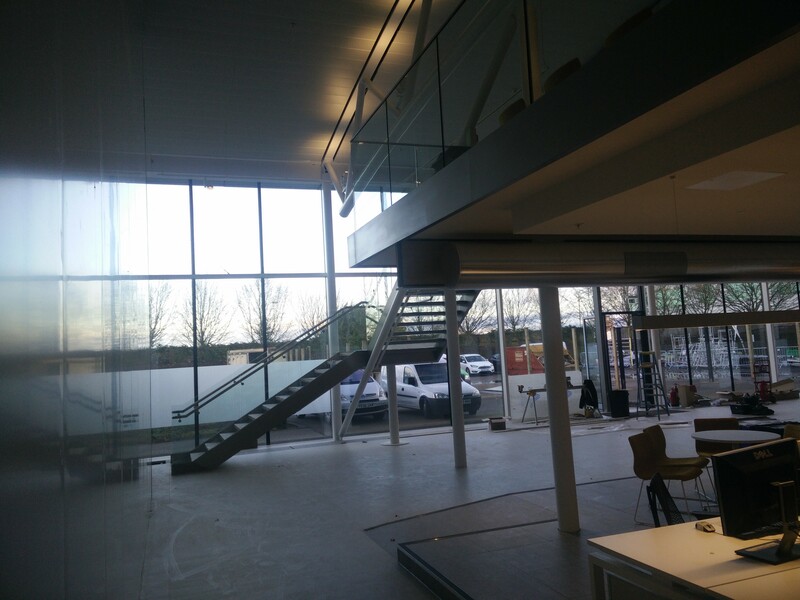 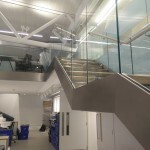 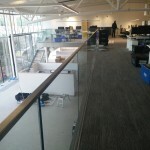 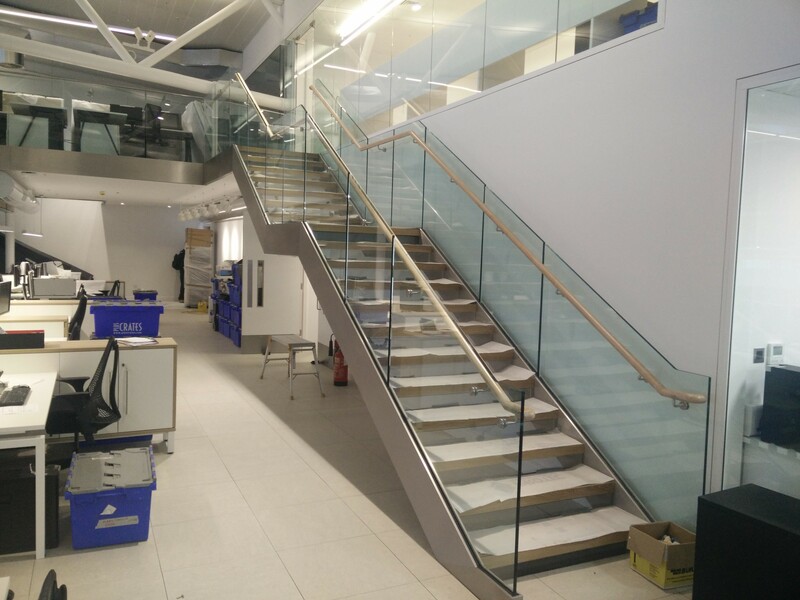 The frameless glass balustrade was secured using Arbokol resin and a timber top rail added to the side of the toughened glass on the stairs, and a specially fabricated square stainless steel capping to the toughened laminated glass around the gallery mezzanine.